Not all hospital specialists are medical professionals. Many are construction professionals. As more and more healthcare facilities build and renovate to stay efficient, patient-centered and competitive, healthcare providers are looking to construction specialists who can address their crucial demands for supporting safe, secure, and healthful environments. And providing continuing education training to stay abreast of industry demands is one of the aims of ASHE, the American Society for Healthcare Engineering. As the largest association devoted to professionals who design, build, maintain, and operate hospitals and other healthcare facilities, ASHE’s 12,000 members are a diverse group, including healthcare facility managers, engineers, architects, designers, constructors, infection control specialists, and others. Through its affiliation with the American Hospital Association, ASHE provides education, regulatory guidance, networking, advocacy representation, and professional development. Kraus-Anderson’s Healthcare Group, in conjunction with KA University, recently sponsored an ASHE Healthcare Certificate training for 90 participants in Minneapolis March 27-28. 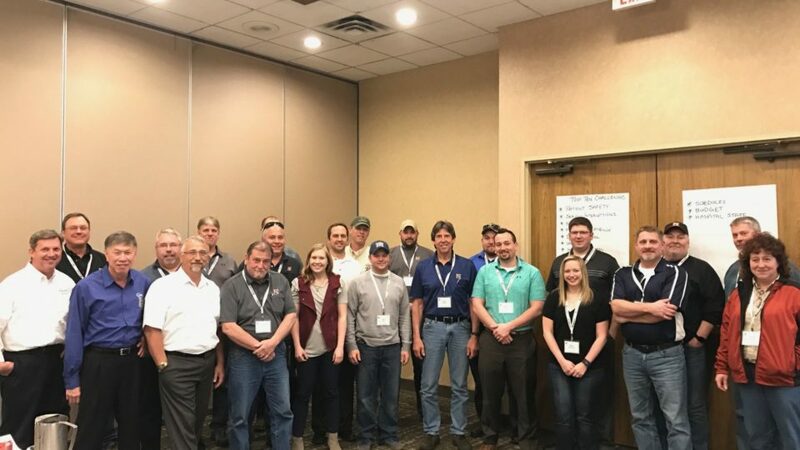 In addition to KA employees from its Bemidji, Duluth, Madison and Minneapolis offices, participants included about 60 KA’s partners, including individuals from Fairview Health Services, Hunt Electric, Gephart Electric, Egan Company, Harris Mechanical, and Metropolitan Mechanical. Three members of ASHE training faculty conducted the workshop, which included discussions concerning critical topics in healthcare construction planning and design. Additional topics included MEP systems, code compliances, risk assessment, medical technology and project expectations. This training is designed to give construction workers an understanding of compliance issues and to learn what healthcare owners, staff and patients will expect of constructors working on a healthcare jobsite. Steve Spaanbroek, MBA, FASHE, CHRM, CHC; CEO of MSL Dedicate Healthcare Partners. Link to bio here. Gordon D. Burrill, P.E., FASHE, CHFM, CHC; President, Teegor Consulting, Inc. Link to bio here. York Chan, CHFM, CHC, SASHE; Administrator of Facilities for Advocate Health Care. Link to bio here. Participants completing the training earned an ASHE Healthcare Construction Certificate (HCC). “Having this certificate provides a greater value not only to our clients but to patients in the environment as well,” says Mike Becchetti, a project manager with the KA Healthcare Group, and organizer of the event. KA is currently ranked #12 in healthcare construction (Modern Healthcare magazine), with recent notable projects including the HealthPartners Neuroscience Center in St. Paul, Park Nicollet TRIA in Woodbury; Brookings Health System campus addition and renovation in Brookings, SD; and Gundersen Health Legacy Building, the nation’s first Net-Zero healthcare facility, in LaCrosse, Wisconsin.